Designed to keep your hair in place with a clean, natural look. Motivated by quality. 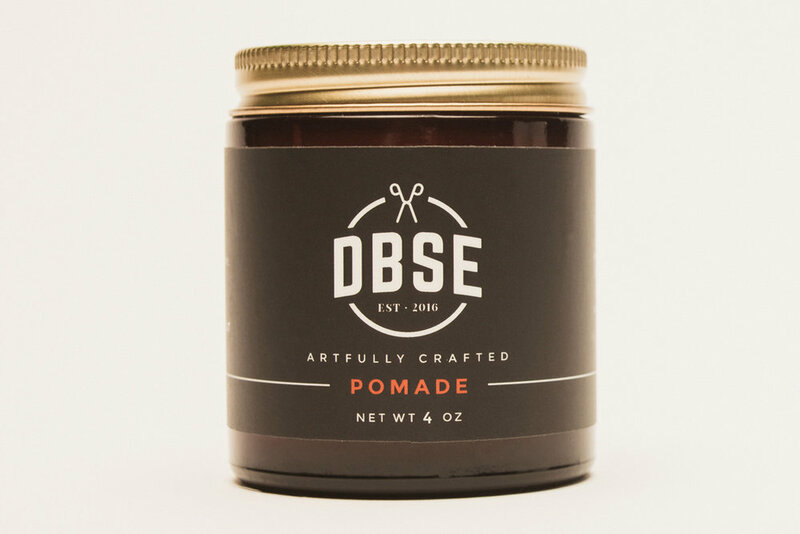 Made responsibly by a barber who cares about your hair as much as you do. Water soluble, non-flaking, non-toxic, paraben-free, formaldehyde-free. After you shower, apply roughly 5-7 drops (depending on length and density of hair or beard) to palm of hand and distribute evenly throughout slightly damp hair. Use comb for better distribution. The shampoo should be used sparingly. If your hair/scalp is extra dirty, use a little more. Replenish oils with the conditioner. Stop by the shop today to load up our reusable gift card with any amount you choose. Good to use on any of our services or products. Get one for those people in your life that deserve a good haircut!